iCivics staff and members of the Educator Network attended the Reagan Institute Summit on Education (RISE 2018). The summit was a celebration of the 35 year anniversary of the bipartisan report, "A Nation At Risk". Distinguished speakers and panelists included former Second Lady, Dr. Jill Biden; former Secretary of State Dr. Condoleezza Rice; current U.S. Secretary of Education, Betsy DeVos; and previous Secretary of Education Arne Duncan, John B. King, Jr., Rod Paige, and Margaret Spellings. The summit brought together panelists and attendees in higher education and K-12 education, as well as, policy and media fields. 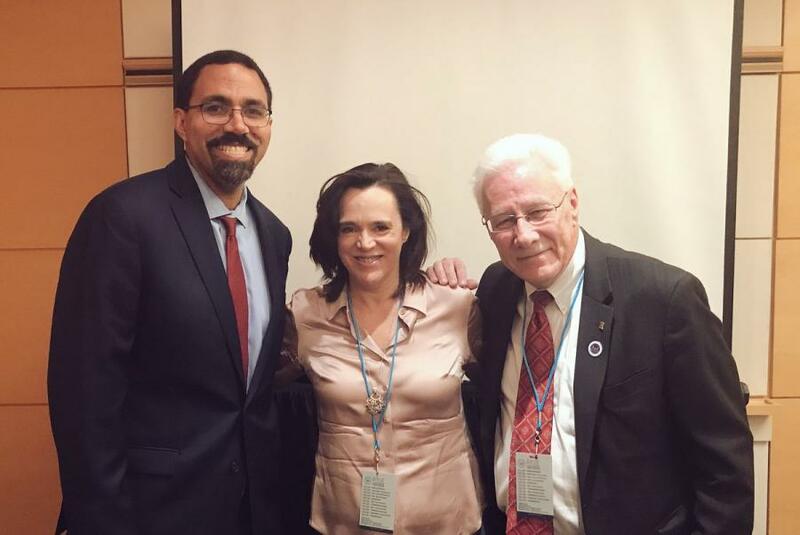 iCivics Executive Director, Louise Dube, Shawn Healy (McCormick Foundation), and former Secretary of Education John B. King, Jr. lead a breakout session on "Cultivating Citizen Leaders". The purpose of the session was to familiarize newcomers and peers about the work completed on the Civic Learning Coalition Project. The session included a group exercise about the root causes of poor civic learning. Thereafter, Louise unveiled the intent of the upcoming late-April survey and invited attendees to join the effort by sharing information from the breakout session with their networks.